Read the many ways Orange County car accident lawyers at Russell & Lazarus have successfully resolved their clients’ accident claims. While we can never guarantee these results for other cases, these case results will show you the importance of hiring an experienced law firm that handles only personal injury claims. If you have sustained injuries in a car accident, you will want experienced counsel on your side. There are many different factors that may cause a car accident. Some of these may not be obvious. To help prove liability, Orange County car accident lawyers can help review the facts in your case as well as determine who should pay. If you would like an idea of how your specific car accident claim could end up with a positive result, contact Russell & Lazarus today at (800) 268-9228 for a complimentary case evaluation. Our 50 year old, married, father of two was rear-ended at a high rate of speed by a driver who was inattentive because he was on his cell phone. Our attempted to handle the claim on his own for 23 months to no avail with no offer from Liberty Mutual Insurance Company, who represented responsible driver. The Plaintiff alleged that her scooter tipped over as he was exiting the bus’ disabled passenger ramp as a result of the bus driver dropping her off at an unsafe location comprised of uneven soft sand. We are proud to announce that our attorney Marc Lazarus just returned a $189,000 verdict on a rear-end auto claim up in Long Beach. The jury reached a decision after about six hours of deliberation. This news comes on the heels of a $15.7 million verdict Marc returned just last month. A 74-year-old woman suffered neck injuries that required neck surgery after someone rear-ended her. A 52-year-old man and his 36-year-old wife both sustained serious injuries requiring surgery due to objects falling off a truck traveling on the freeway. A 53-year-old female bus driver who sustained serious hip injuries in a collision, which caused the death of the other driver, was forced to go to trial as a result of a low ball offer by Mercury Insurance Company. A 49-year-old female who was rear-ended but did not seek medical care for three days, received compensation in the amount of $649,000 for her injuries. A medical malpractice claim resulted from a fractured shoulder after our 33-year-old female client was hit by a car and thrown 30 feet. A horrible bus crash caused death and serious injuries to over 22 passengers, including our 43-year-old client, who sustained serious “road rash” injuries requiring both skin grafting and plastic surgery. 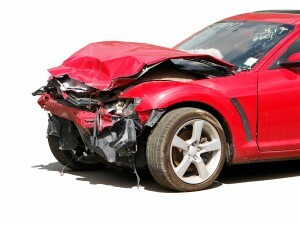 Generally, liability for a car accident hinges on whether a driver was careless or negligent. An Orange County car accident attorney can explain that this usually means that a driver failed to exercise “reasonable care.” This can mean speeding, running stop signs, or driving distracted. Police Reports. Responding officers may take notes as to the cause of an accident. They may also take photos of skid marks or other circumstances. An experienced attorney knows how to comb through a police report to gather the evidence to support your case. Red Light Cameras. These cameras can capture a negligent driver in the act. However, you may need the assistance of an Orange County car accident attorney just to access these photos and have it admitted into evidence. Hospital and Paramedic Reports. These reports can be invaluable in showing causation and fault. The nature of injuries such as in rear-end accidents can be telling. These are just some common types of evidence that an experienced attorney will use to help prove your case. If you have any questions regarding the circumstances of your case, talk to an attorney as soon as possible. To discuss strategies to get a positive result in your accident claim, contact an Orange County car accident attorney at Russell & Lazarus by calling (800) 268-9228 for a free evaluation. DISCLAIMER: The results are specific to the facts and legal circumstances of each of the clients’ cases and should not be used to form an expectation that the same results could be obtained for other clients in similar matters without reference to the specific, factual, and legal circumstances of each client’s case.